L. A. Samy. All photos by Nic Paget-Clarke. L. A. Samy delivered this speech at the Southern Regional Assembly on the Draft National Policy on Tribals, 4-5 September, 2004, in Bangalore, Karnataka, India. Adivasi (editor: indigenous people, original inhabitants) communities have been historically marginalised and oppressed by the dominant communities and interests that exploit tribal lands, resources, minerals, and forests. The neo-liberal policies and schemes implemented by the State are leading to further Marginalisation of tribals. The onslaught on their civil, political, social, economic, and cultural rights has been continuing without any halt and these patterns perpetuate extreme form of deprivation in many ways. Their customary rights over natural resources such as forests, cultural identity, traditional knowledge including intellectual property rights, cultural heritage and traditional wisdom have been continuously put at stake due to the current developmental paradigm of globalisation, liberalization and privatization. Forced eviction and land alienation -- the two critical facets of tribal rights violations have to be addressed with gravity. Since Independence, for the first time in Indias history, Government has come up with the draft national policy on Tribals. Even though it is a welcome step, its lacunas and ambiguity in addressing systemic issues concerning Adivasi should be addressed comprehensively. 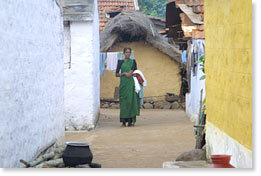 Even constitutional rights like the fifth schedule have been denied to tribals of South India except in Andhra Pradesh. The tribal population in Southern States, despite their demand to declare scheduled area, have been deprived schedule status for a long time. Contrary to Government claims that tribal populations are diffused in certain states, 4.3% of tribal population in Karnataka, 1.1% population in Kerala and 1.0% population in Tamilnadu, is concentrated in specific locations. The notification of these areas as scheduled area has not been done due to the insensitive approach of rulers and bureaucrats. Even though 6.3% of the tribal populace of Andhra Pradesh has scheduled areas, the tribal sub-plan has not been implemented properly. The words assimilation and mainstream in the draft policy makes us question the ultimate goal of the former NDA (National Democratic Alliance) government. We demand to know how the current UPA (United Progressive Alliance) Government would respond to Adivasi demands for autonomy rather than assimilation. The draft seems to be prepared in a hurry. The draft policy has completely ignored issues that have been controversial for a long period. One such issue is the religious categorization of Adivasis as Hindus irrespective of their own affiliation. The draft policy must rectify this. Another area of critical importance is gender issue. Tribal women and girls suffer multiple forums of discrimination, exclusion and problems that are neglected by the draft policy. The policy fails to refer to human rights. The normative basis of International Human Rights standards, principles and instruments and their backward linkages to national and domestic legal policy framework has been neglected. 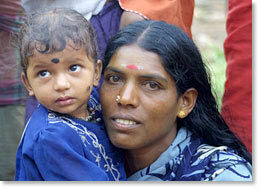 Therefore, the Government fails to implement these international obligations to protect and promote Adivasi rights. The policy should address the concerns of Adivasi childrens survival, protection, development and participation with cultural and gender sensitivity. The policy sanctions the displacement and land alienation of the tribals by stating that displacement can be allowed in the name of public interest. This paves the way to displace Indigenous people for every dam, mining, and tourism development that is deemed in the public interest. Already the issue of forced eviction is looming large in the denial of rights in Nagarahole in Karnataka, and due to the proposed extension of wild life sanctuaries Masinagudi in Nilgiris, Kodaikkanal in Tamilnadu. 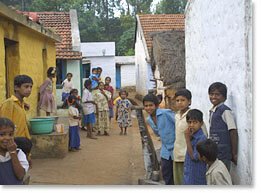 Tribal communities of Arraku and Borra caves in Andhra Pradesh are facing innumerable problems (cultural assault, etc. ), due to Ecotourism development by the state government. The Forest Department in Kerala in nexus with the tourism department has opened up ecologically fragile and sensitive areas that would affect Adivasi communities in many ways. It is to be noted with deep concern that as many as 4.65 lakh (465,000) cases were registered by January 1999 on alienation of 9.17 lakh (917,000) acres of tribal land. The so-called mainstream people do the draft policy formation and it doesnt involve the participation and appropriate representation of the indigenous people. For a more meaningful policy we should involve the tribal representatives. This draft policy has failed to do so. 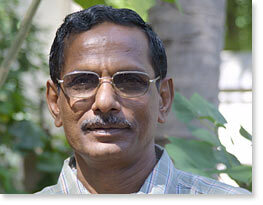 The Administration of tribals certainly needs the involvement of tribal representatives. 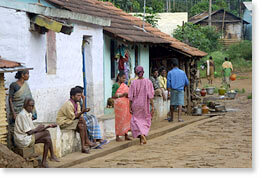 The draft policy denies the participation of tribals in their administration. The draft policy claims that formal education is the key to all-round development and proposes that pedagogy is to be made relevant to Adivasi. How they are going to do this without the informed participation of Adivasi remains to be seen. Curriculum and pedagogy must be sensitive and relevant to indigenous values, concepts, knowledge systems and history. The draft policy categorically says that transfer of traditional knowledge to non-tribal areas is going to be the focus. The Government of India is bound by the United Nations Convention on Biological Diversity (CBD), which requires Prior Informed Consent (PIC) and access and benefit sharing for the preservation of traditional knowledge and wisdom of the indigenous people. But, the Biological Diversity Act (BDA) 2002 of India fails to protect and promote the rights of traditional knowledge of tribals. The BDA act should be amended to ban transfer of traditional knowledge and native wisdom of indigenous people to non-tribal areas if guarantees for benefit sharing and the right to free, prior and informed consent have not been implemented. Patenting of indigenous knowledge and culture without PIC and benefit sharing by multinational/domestic business and other industrial interests must be banned. This knowledge should be recognised as the rights of communities collectively and without explicit, free and prior consent of the communities, these should not be patented by any individuals or by the state. The state should genuinely consider the legitimate demand of Adivasi communities and take steps for notification of schedule areas in Karnataka, Tamil Nadu, and Kerala without delay. Sensitive engagement of Adivasi communities for enforcement and effective monitoring of the policy should be evolved in a meaningful participatory way. The Adivasi communities rights to preserve and uphold their customary laws and practices should be recognised in the draft policy and adequate provisions should be incorporated to operationalise these concerns in the policy. Indigenous governance, administrative and justice delivery systems should be recognised and promoted. Self-rule is the basis of Adivasi governance system and accordingly systemic changes should be introduced in legislative, executive and judicial systems. I hope this Southern Regional Assembly would critically analyze the draft national policy on tribals and raise concerns of Adivasis in a constructive manner that may lead to evolving an alternative framework.